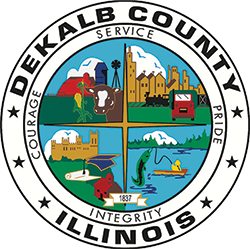 The DeKalb County Rehab & Nursing Center has been in existence since 1853. We are the oldest and largest health care provider in DeKalb County. Beginning as a Poor Farm, the facility has evolved over generations to a progressive, skilled nursing center that is highly regarded County-wide for its quality nursing care and for its commitment to improving daily life for seniors with healthcare needs. The DeKalb County Rehab & Nursing Center is a 190-bed state-of-the-art building located just north of Northern Illinois University. Our resident rooms have private bathrooms and a maximum 2-person occupancy. A limited number of private rooms are available for residents with special needs. We specialize in both short and long-term nursing and rehabilitative services. We are licensed by the State of Illinois Department of Public Health and Certified to participate in Medicare and Medicaid programs. We offer an alarmed and secured environment for the safety and well-being of all we care for. We also have a secured Dementia Care Unit with a gated courtyard and view of the wetlands. This unit specializes in the care of those with a diagnosis of Alzheimer’s disease and Related Dementia. 8:00 a.m.. – 4:00 p.m.